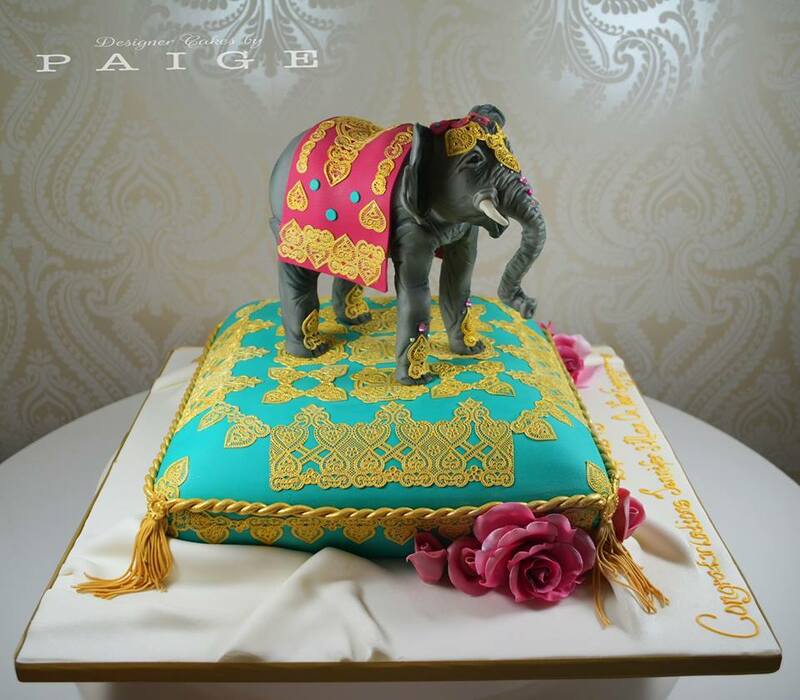 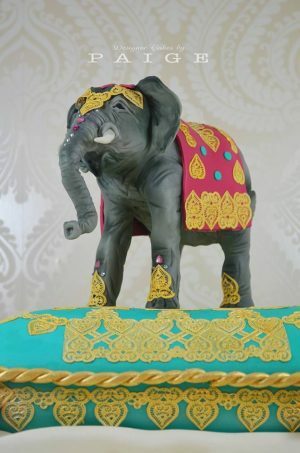 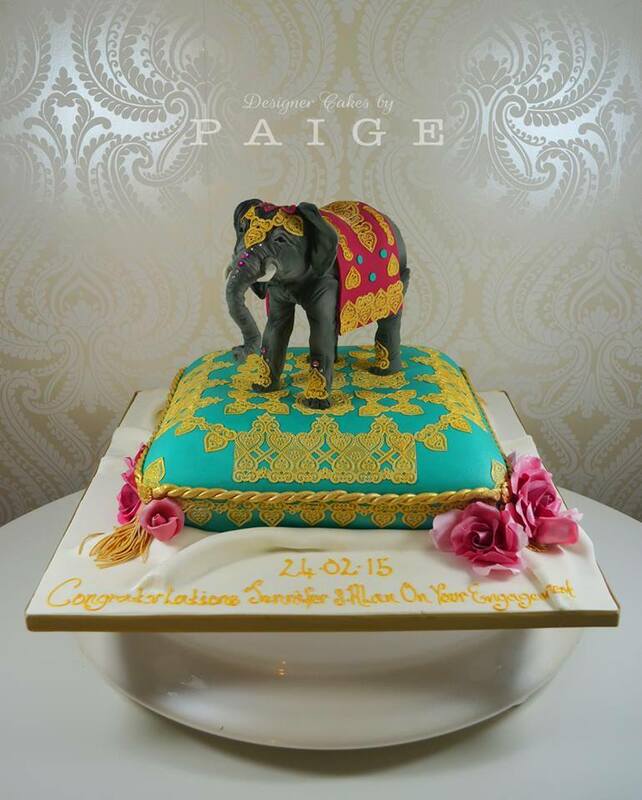 This unique cake was made as an engagement cake for a couple who got engaged in Thailand. 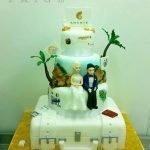 It was created to represent the amazing time spent there. 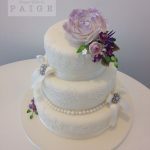 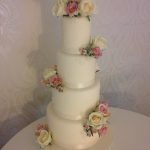 We think this design would translate fantastically as a wedding cake and extra tiers can even be added as required. The whole cake features beautiful edible gold lace detailing and diamante accents. 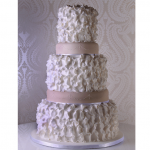 The flowers featured in this design are all synthetic roses and are not edible. 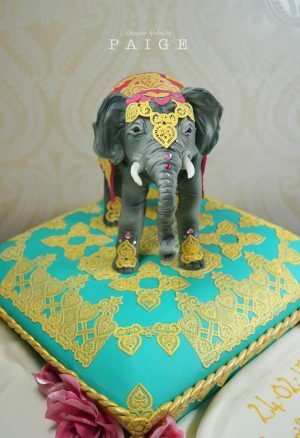 Although made out of edible materials, the elephant is not intended to be eaten and must be removed before serving. This cake also features swarovski crystals that are not edible.